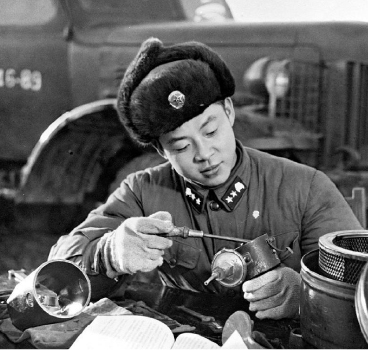 Lei Feng (December 18, 1940 - August 15, 1962) was a soldier of the People's Liberation Army in the People's Republic of China. After his death, Lei was characterised as a selfless and modest person who was devoted to the Communist Party, Chairman Mao Zedong, and the people of China. 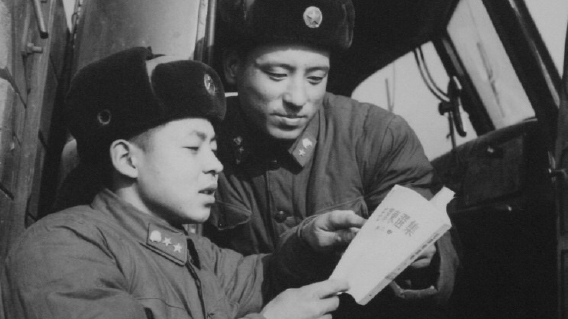 In the posthumous "Learn from Comrade Lei Feng" campaign, initiated by Mao in 1963, Lei became the symbol of nationwide propaganda; the youth of the country were encouraged to follow his example. Born in Wangcheng, Hunan (near the town of Leifeng, Changsha, Hunan, named in his honour), Lei was orphaned at an early age and raised under the wings of the Communist Party. He became a member in the Communist youth corps when he was young and joined a transportation unit of the People's Liberation Army at the age of twenty. According to his official biography, Lei died in 1962 at the age of 21 (22 by East Asian age reckoning, by which a newborn is one year old at birth), when a telephone pole, struck by an army truck, hit him while he was directing the truck in backing up. After Mao's death, Lei Feng remained a cultural icon symbolizing selflessness, modesty, and dedication; his name entered daily speech and his imagery appeared on t-shirts and memorabilia.